A few years ago my wife and I helped lead a self-drive trip along the U.S. portion of the Continental Divide, the great mountain range that divides North America’s watershed. In addition to our 2012 Tacoma and Four Wheel Camper and the other trip leader’s Ford Raptor, there were a dozen vehicles along, ranging from a pristine late 80s Ford Bronco to a couple of Sportsmobiles, FJ Cruisers, and Jeep Wranglers. Another Raptor and Tacoma, and a recently restored FJ60 Land Cruiser completed the convoy. Several of the participants had done a lot of last-minute modifications to their vehicle to prepare for the trip, and the FJ60 was fresh off a major rebuild, with some untested components of its own. It soon began to show. Climbing through New Mexico, one of the FJ Cruisers pulled off to the side of the trail, and the owner climbed out and began inspecting the custom tire carrier on the back. We stopped and I went over, to find that welds on the carrier were beginning to split, allowing the rack and tire to bang back and forth. We used some ratchet straps to secure the carrier and belay any further cracking—which if left unchecked would have eventually allowed the entire assembly to fall off. By the Colorado border other issues were surfacing. A custom auxiliary battery tray on another vehicle began to rattle itself loose. A four-wheel-drive Chevy Van had developed narcolepsy, and would simply stop running for an hour or two, then magically wake up. A rough trail over a high pass into Wyoming really started to shake things apart. The fenders on a cargo trailer towed by one of the support vehicles—which had been running an easier, parallel course to ours—simply fell off. Another auxiliary battery tray came loose, along with a shock absorber mount. The FJ60 had a lightweight aluminum roof rack installed, mounted with an Autohome roof tent and a side awning. When the rack started making noise, we inspected it, and found one of the aluminum gutter mounts cracked almost all the way through. That was secured—more or less—with duct tape, and we continued. Then another one cracked, and another. Soon all six mounts were near failing. 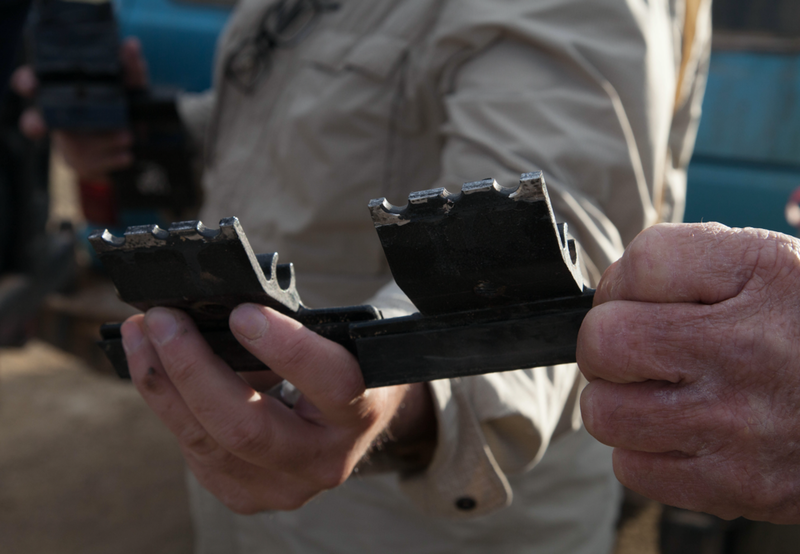 An inspection showed that, incredibly, the manufacturer—a well-respected South African company—had drilled three adjusting holes in each one right across the area where the most strength was needed. Failure on this part was never a possibility—it was an inevitability. There was no way to adequately repair the mounts in the field, so at the next rendezvous with the support trucks we took off the entire rack, tent and all, and strapped it on top of the massive welded steel construction rack on the support truck. For the rest of the trip the two guys driving the Land Cruiser had a penthouse suite on an F450. That Continental Divide trip was an extreme example, but I’ve run into this syndrome time after time after time: A vehicle owner has a much-anticipated trip coming up, and work schedules and budgets dictate a rush of last-minute modifications—many of which are not even really needed, just desired. And out in the real world of washboard trails and rocky hillclimbs it is discovered too late that some of those modifications were under-engineered. In the worst of cases the issues can spell the end of the trip; at best they delay progress and inconvenience traveling companions. If you have a major trip planned, and a list of things you really want or need to do to your vehicle for that trip, do them enough in advance so you can thoroughly test their quality on shorter excursions. It’s much better to do without an accessory than to find out it is more of a hindrance than an asset. And don’t assume just because something is sold by a famous company that it actually has been proven by them before they sell it to you. Let them do their beta testing on someone else.